Beautiful 4 bedroom 2 bath home in desirable Mission Park neighborhood. Carefully detailed lime washed exposed brick is seen as soon as you pull up. Open kitchen with classic white wood cabinets, farmhouse style sink, extra storage space and highly rated brand new stainless steel appliances! On top of having 4 bedrooms you also have your separate living room, family room and an office! Both bathrooms have been beautifully updated, excellent shower tile work and large double sink vanities! Great sized backyard with brand new deck! 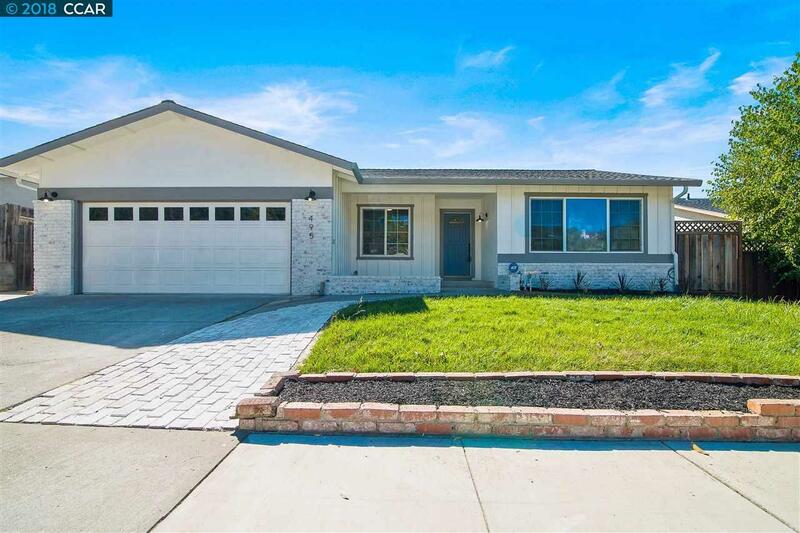 Short distance to highly rated schools, mission park hills, downtown Pleasanton and 680. This house will not last! Come see your new home this weekend!